Dr. Pahlevan joined USC as Assistant Professor of Aerospace and Mechanical Engineering in 2017. From 2014 to 2017, Dr. Pahlevan was James Boswell postdoctoral scholar at California Institute of Technology (Caltech) and clinical research investigator at Huntington Medical Research Institutes (HMRI). Dr. Pahlevan received B.S. in Mechanical Engineering from University of Tehran, M.S. 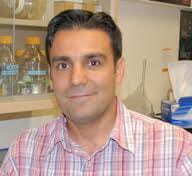 in Mechanical Engineering from California State University, Northridge, and PhD in Bioengineering from Caltech in 2013. More information about Niema Pahlevan’s research.